We license our technology or contribute it to partnerships with Entrepreneurs, Municipalities, Media, Federal Agencies, and Foreign Entities. An informal partnership of private and public interests providing support to surviving families. To date, WeFeed has collected many, many tons of food equaling many, many tens of thousands of meals. Autism Village's mission is to apply Internet and Mobile technologies to provide a globally accessible platform which helps the autism community to manage practical day to day problems. NovaVis is mapping and connecting the supply chain that supports the emerging Offshore Alternative Renewable Energy industry in the US. Blue.io is a sophisticated software platform powering direct investment within the brokerage and wealth management communities. EzyED provides an innovative platform for public- and private-sector stakeholders to cooperate more easily to make the world a better place. A digital community building a connected, sharable and more resilient city. Connect is a comprehensive platform for rapidly deploying large online communities—whether internal, external or a combination of both. 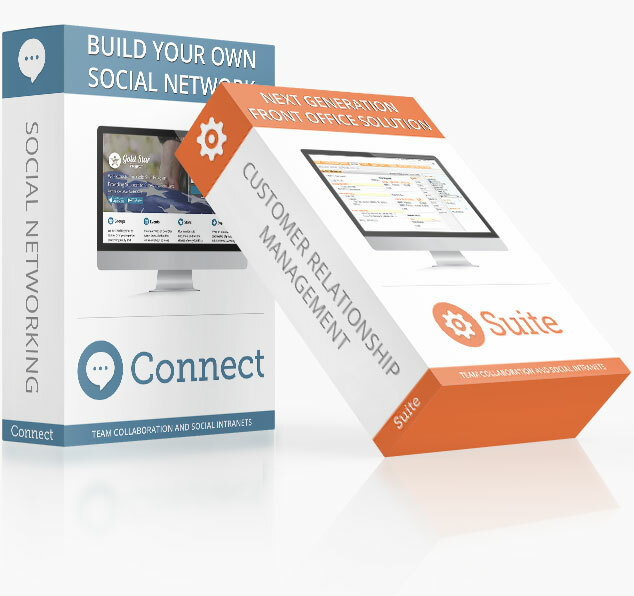 Suite is the next-generation Front Office Solution. Its platform encompasses CRM, order management, e-commerce catalogs and social networking.